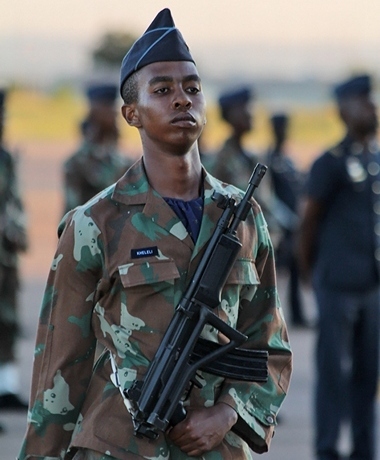 The South African Air Force Held their annual Prestige Day Parade on Friday 29th of January At Air Force Base Waterkloof . 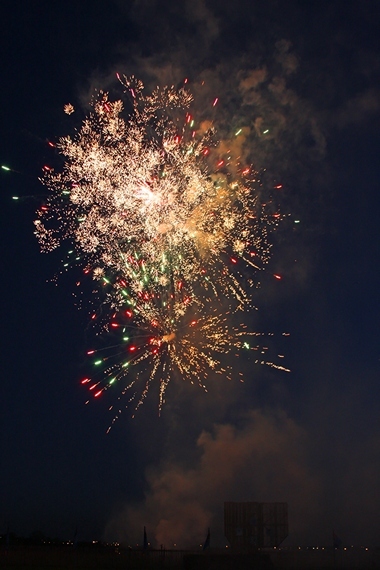 This year it was combined with the Base Military Training Course 02/2015 Passing out Parade. 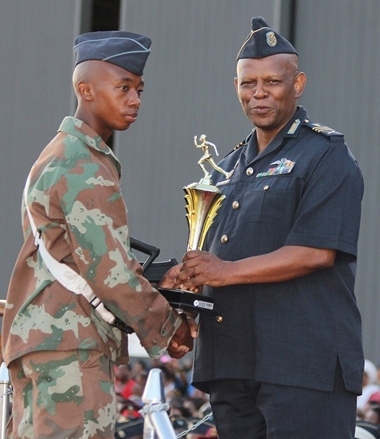 Lieutenant General F.Z Msimang was the revue officer for this prestigious occasion. 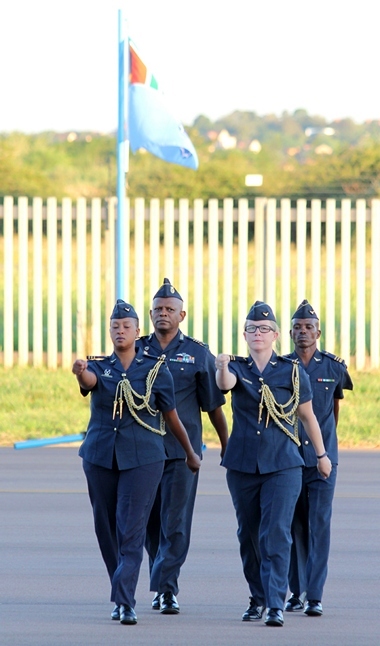 The Wing accompanied by the SAAF Band marched on as the guests were being seated; the parade was attended by many dignitaries including Lt Gen Mosondo Chief of the Army, Former Chief of the SAAF Lt Gen Carlo Gagiano and many of foreign Military Attaches. 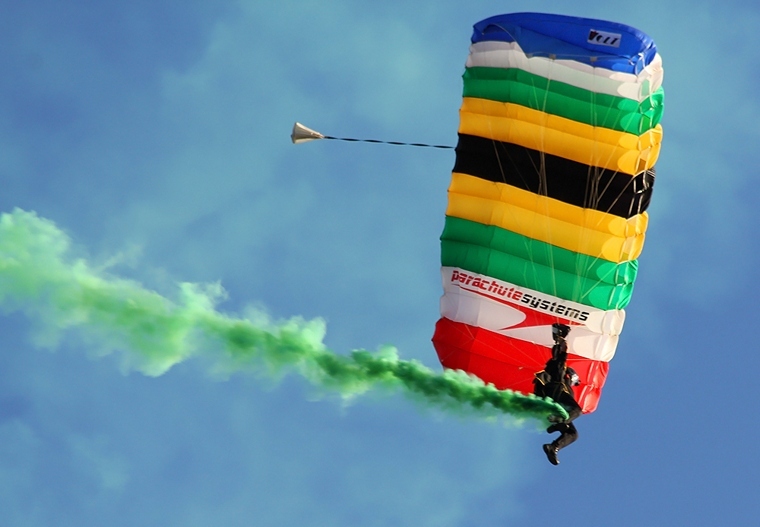 Sky Divers from South African Special forces opened the proceedings with a brilliant display of their skill, signalling that arrival of Lt Gen Msimang. 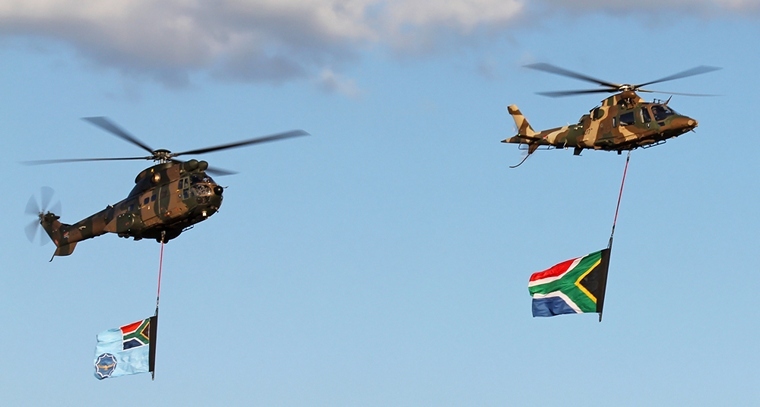 An Agusta 109 and Oryx flying the National flag and SAAF flag Flew in from East to West as the General Salute was observed by all, both of these helicopters are stationed at 17 squadron AFB Zwartkop . All uniformed members were requested to remain standing as the Military code of conduct was read. As is customary at all military functions the parade was officially open with a scripture reading and prayer by the Chaplain of the Air Force, Chaplain Zolani Makalima. A mass fly past consisting of aircraft from the South African Air Force Museum was next up. The Fly past was divided into four waves, the first being a formation of two Alouette III's and an Alouette II helicopter, followed closely by the Patchen explorer. 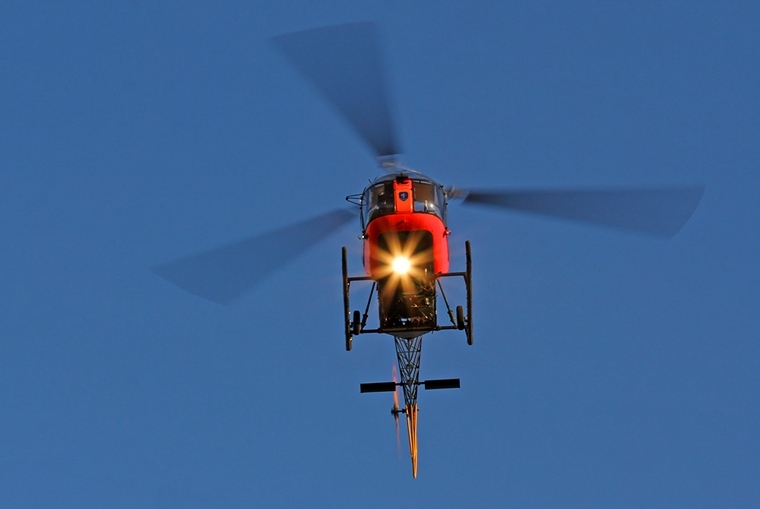 Wave three was made up of two Bosboks, a Kudu and a Cessna 185. 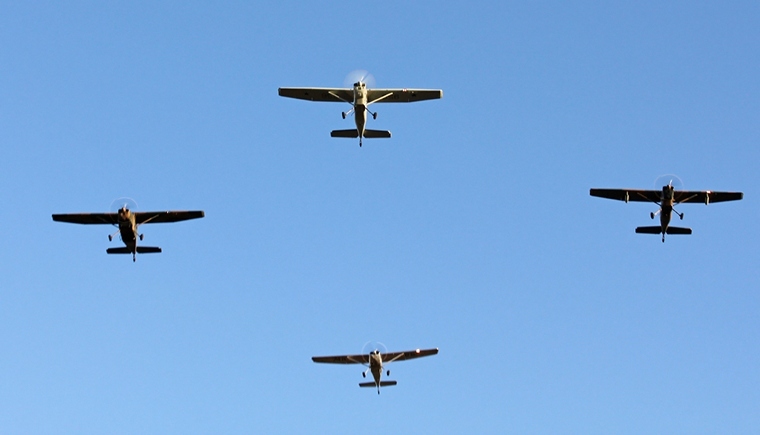 Bringing up the rear was a Formation of two Harvards, the previous school masters of the SAAF and a Piaggio Albatross Maritime patrol aircraft. 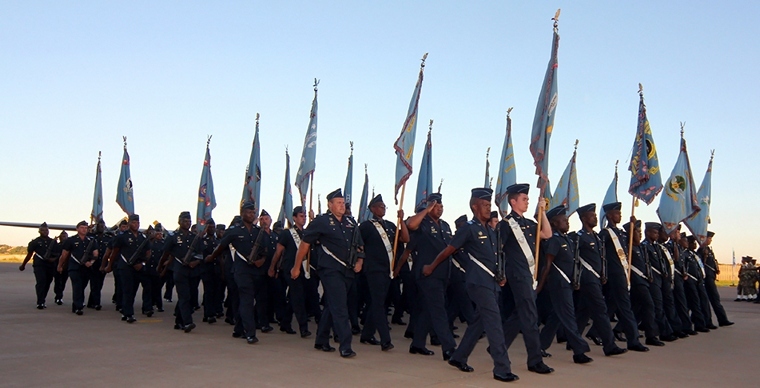 The entire Wing then marched past in column of flight led by the colours flight, who carried the flag of every active squadron of the SAAF, The new recruits on parade showed off their precision "drilling" to the delight and loud applause of their family and friends present . 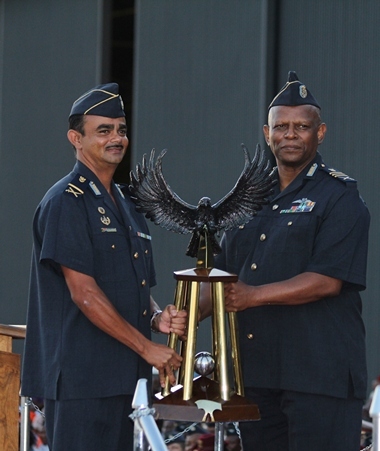 The Basic Military Training Course 02/2015 was complimented for their exceptional dedication during training and the best performing students were awarded trophies for their achievements. 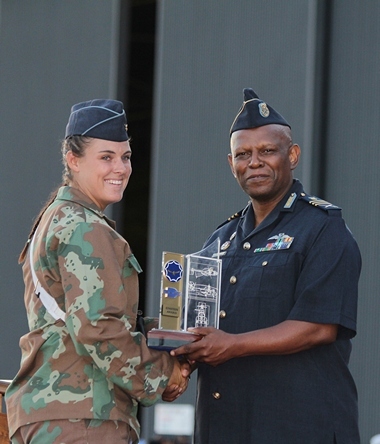 The best performing shot both male and female, fittest recruits male and female were awarded ABSA floating trophies. 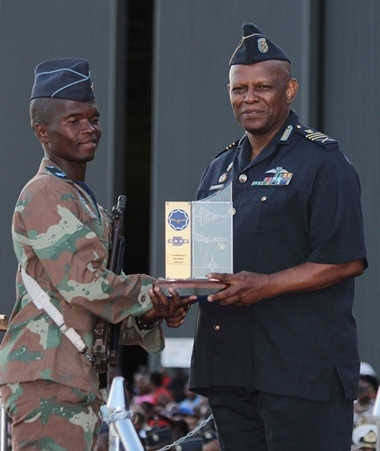 The Denel Einstein Award for the best Academic achievement was presented to Amn Steyn and the Denel Top Gun award for best overall performance was awarded to Amn Kekana. 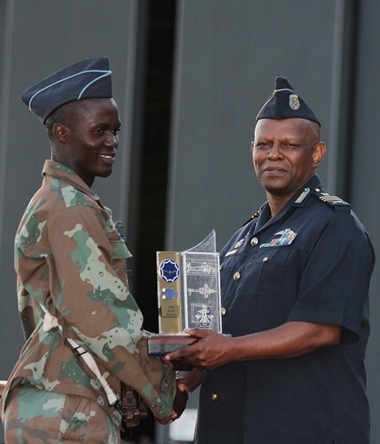 The Denel Confidence Builder award went in Cpl Nruowa. 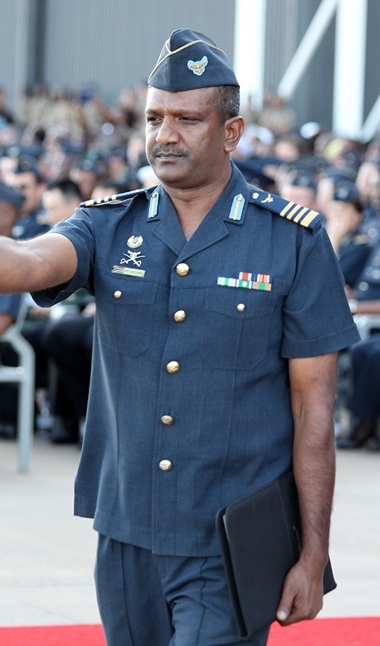 In his address Lt Gen Msimang mentioned that despite the chronic below global accepted defence budget allocations the SAAF members are requested to not lose national priorities. 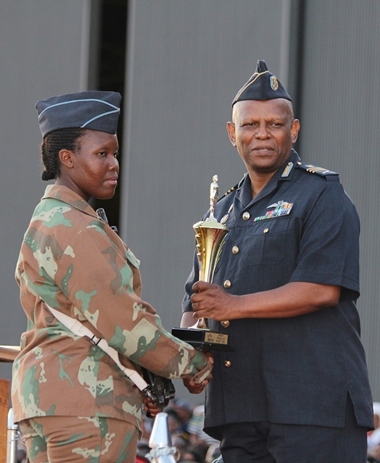 Gen Msimang praised all on parade for the level excellence, professionalism, discipline and commitment displayed. He also paid tribute to all members that are currently deployed in peace keeping missions. 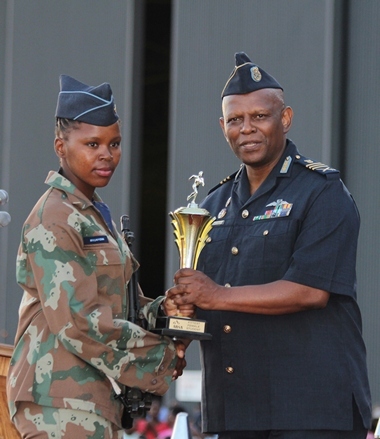 Gen Msimang reiterated that Discipline is paramount to all aspects of military and private lives quoting from section 200(1) of the constitution, "The defence force must be structured and managed as a disciplined military force". 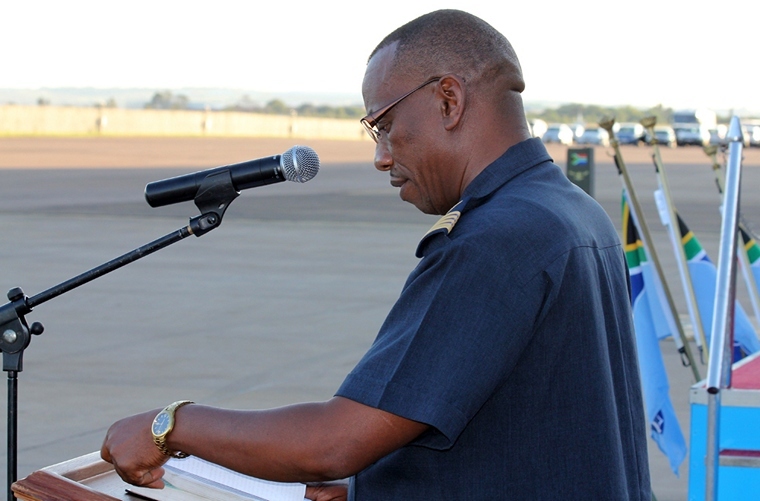 The Mandate of the air force was mentioned, "Our National Defence Force remains consistently conscious of its role in a constitutional democracy and by its very nature continues to attract allies and competitors alike." The SAAF furthermore will focus on the development of its members by partaking in various foreign learning opportunities, having sent many members to Cuba, Zimbabwe, Russia, United Kingdom, Bangladesh and the United States of America for functional and development courses. These engaments are meant to ensure that the SAAF continues to maintain the momentum in force preparation and capacity building endeavours. Gen Msimang assured all South Africans of the readyness and commitment of the South African Air Force towards national security and defence of the country. Gen Msimang concluded with offering thanks to everyone that made the day possible .The Wing then marched off the parade ground with a 2 squadron Gripen flight and fireworks display. To All the members of the South African Air Force Past and present may you celebrate the 96 birthday of the SAAF in grand style.